Anyone guess what these are? Where they from lol? And what is it. Are they seeds or something living? 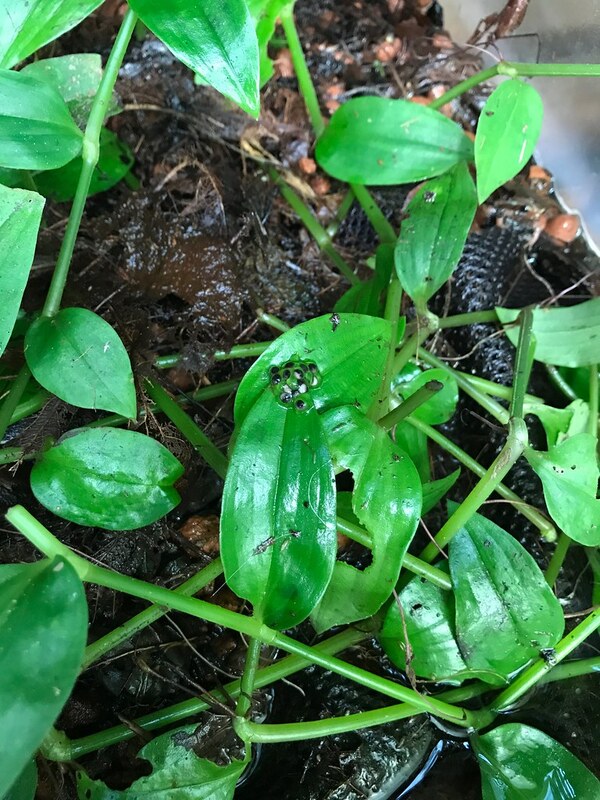 Close enough, my first ever batch of poison dart frog eggs. Do you know that now almost everyone is interested in every development? Me in head obviously. I thought they were going to be tadpoles you'd found in a purp or summat !. I've always loved tropical/ tree frogs, 've heard they can be noisy at night though?. i used to keep reptiles and the crickets I bought for food could drive me mad at night !. These are in the greenhouse, actually the noise is quite pleasent and theyre usually chirping away during the day, makes it sound like a real jungle! Eurpoean and other tree frogs can be very noisy but these guys are ok. Tempting, but theyre not poisonous in captivity. The poison must need extracted from a dead frog I guess? No, the poison is on the skin of the live frogs, but it comes from the food they eat, so in captivity they are not poisonous (different food). Aw right interesting. I do like frogs, always wanted a tree frog since I was a kid lol. Are they loose in the greenhouse? Or have you some sort of enclosure?. What do you do through winter mate? Epidobates tricolor or Dendrobates leucomelas or Dendrobates auratus? They are in a terrarium, my original plan was let them loose but i bottled out. Greenhouse is heated to min 15C in winter. Bigger problem was summer day temps, dart frogs don't like going much above 30C, it will probably kill them. But down near the floor it rarely gets above ~27C. So far they've been from 15C to 29C and its not been a problem, in fact the little buggers are at it again today, probably be more eggs when i go and have a look. I chose Epidobates anthonyi as they should be able to cope with the temperature range, other dart frogs probably not. I'm thinking of making a larger enclosure long term, but needs thinking about, they're good climbers/jumpers... I have a concrete floor, which can be very dry, so letting them loose probably wouldn't work too well. Are you keeping them together with carnivorous plants? I also have poison dart frogs and have made a photo series documenting the egg development of my first batch in detail. The eggs were laid beginning of july and the tadpoles are now developing legs. no problem hijacking the thread, its interesting to see. What kind are they? Yes, mine are in the greenhouse with mostly Nepenthes, although they are in a terrarium so not runnng around loose among the plants. Were are you keeping yours? My first tadpoles have just hatched, hoping i can keep them alive! Do you have some pictures of your frogs? They don't mind the pitcher plants (or the cold at night). Only interaction I've seen so far is that they steal the occasional prey out of shallow pitchers (like jamban). I've got two more egg clutches developing right now and the first tadpole of those hatched yesterday. I am wondering if the tadpoles would survive in the pitchers but don't want to take the risk of killing them by throwing them in. 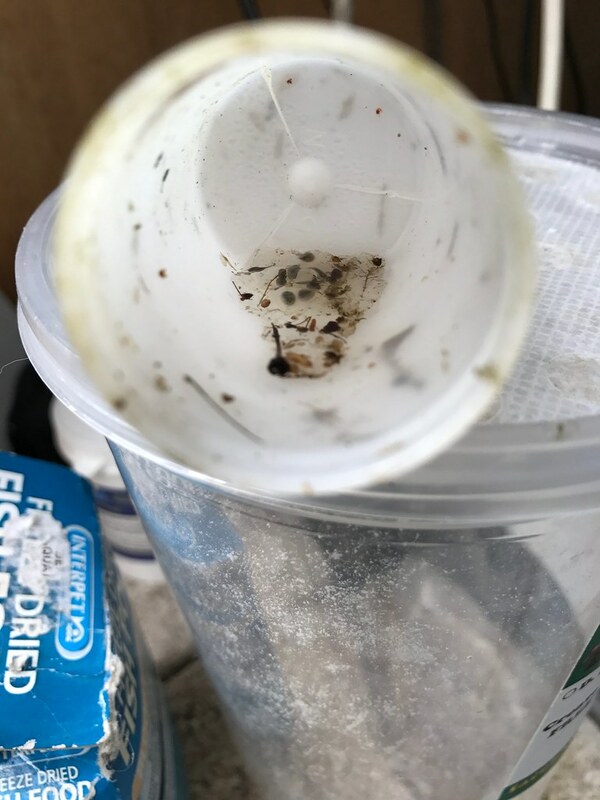 What are you feeding your tadpoles?